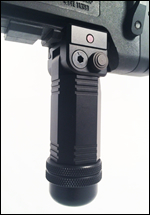 While not in use, the P3 Ultimate Monopod extends only 2.7” from the buttstock. The unit quickly deploys with an 1/8 of a turn of the first stage cam lock. The spring-loaded, cam locking 1st stage gets you on target in seconds and locks up tight with our Posi-Lock system. 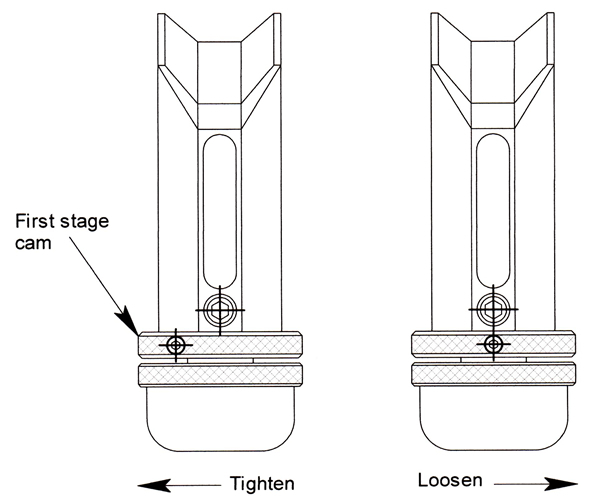 The threaded 2nd stage allows the shooter to fine tune elevation. 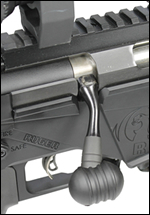 The rotating Delrin foot rides on a precision roller bearing, allowing for smooth, precise, friction-fee elevation adjustments without any unwanted movement. Finish: Durable MilSpec hard coat anodized. 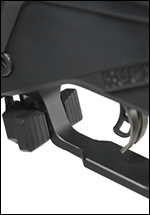 Rubber contact pads will not harm the firearm. 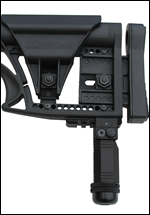 Mounting: Quick change system attaches to the rear sling swivel stud in seconds. 3 sling swivel attachment points. 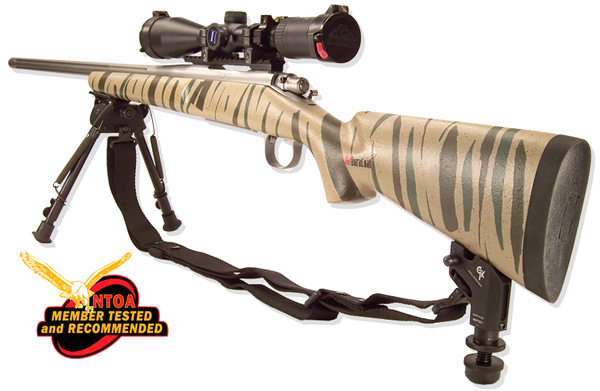 Two stage telescoping leg provides 360” of movement at 100 yds. Cam locking 1st stage gets you on target in seconds. Fine tune the elevation with the threaded 2nd stage. 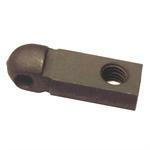 Spring loaded pop out design quickly gets you on target. Rotating Delrin foot rides on a precision roller bearing allowing for smooth, precise, friction-fee elevation adjustments. 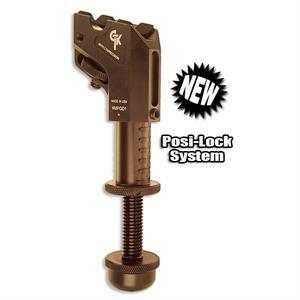 Our Posi-Lock System ensures maximum stability. 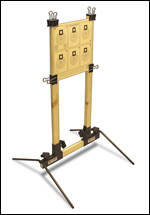 Watch the following video for step-by-step instructions on installing the P3 Ultimate Monopod. 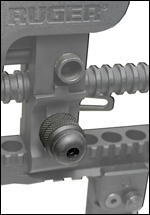 To loosen the first stage cam lock, turn the first stage cam's knurled knob in the direction that aligns the set screw or index mark on the knurled knob with the set screw in the main body. This position is the Monopod's neutral position and will allow the first stage cam to move up and down. 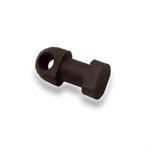 Sling swivel stud for the MagPul PRS.